AN IDEAL VILLA TO REST. 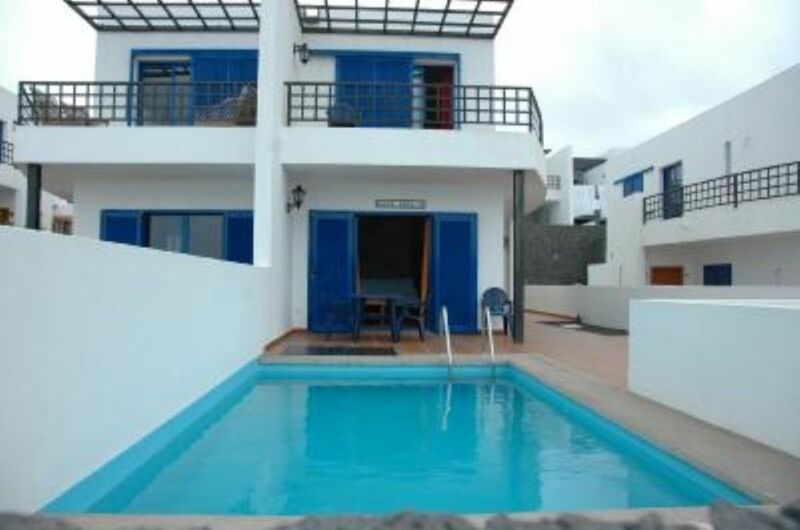 Villa Casa Adalid, is an individual house of 2 floors located in Playa Blanca, south of Lanzarote at 35 Kms from the airport. The villa is 5 minutes walk from the seafront and 15 minutes from the Puerto Deportivo de Rubicon, where you can find all kinds of restaurants, shopping and nightlife. Near the house there is a supermarket and a bus stop to go to the town. The Papagayo beaches are 5 minutes away by car where you can enjoy fine sandy beaches and protected coves. We all had a great holiday the villa had everything you needed and more home from home . The pool was perfect and the area round the pool was nicely set out the neighbour came in and cleaned the pool .The villa was a lot more spacious than i thought it was going to be it was perfect for us .A 20 minute walk from the villa took you to the marina rubicon which was great for meals and drinks at the end of street was a supermarket everything was close only a 10 minute bus trip into playa blanca town perfect .Thankyou for letting us your villa definately visit again . Thank you very much for sharing your experience, it is for me comforting to know that your stay in my house, fulfilled the expectations that you had created. I hope to be able to count on you, in your next stays in Playa Blanca. Really loved staying at this villa. It's in a great little spot near a nice beach but only a short bus ride or 40 minute walk from playa blanca and an even better beach. But back to the villa, really clean and comfortable. One of the best villas we've stayed in in terms of equipment. Plenty of space. Plenty of sitting space and sunloungers too. Très bon séjour. Maison agréable grande et adaptée pour une famille de 4. L eau (piscine et mer) est froide à cette période. Propriétaire arrangeant. Paysage à proximité grandiose. Supérette à proximité. Restau à 20 bonnes mn à pied. Accès en voiture facile. La tarifa esta basada en 2 huéspedes.